This has been one helluva year for our family and I’ve dubbed it the “Year Of Loss” as it seems to have been a recurring theme that we’ve seen time and time again. I wasn’t a stranger to loss even before this year. I’ve said goodbye to a father, a brother, two best friends, my MIL, my FIL, 4 BIL, and 2 SIL plus others along the way that live in my heart if nowhere else. This year though, has knocked me down quite a few times and left me in a fetal position licking my wounds once or twice. We will survive. It’s what we do. 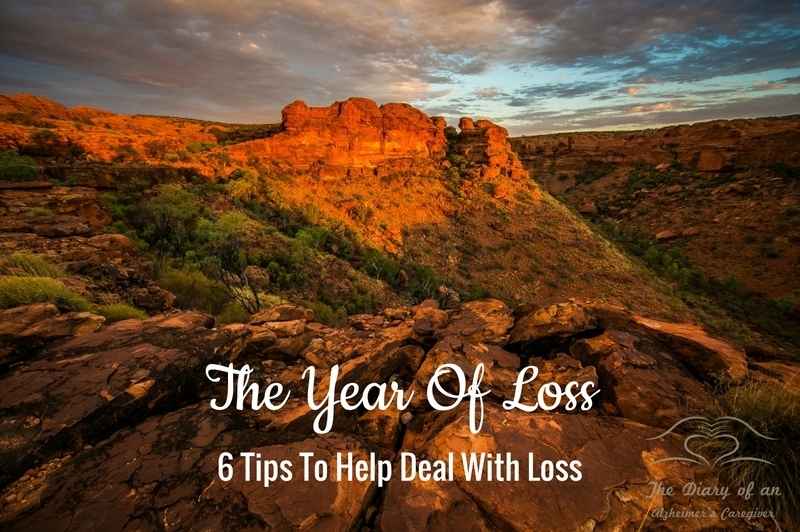 Loss isn’t always a bad thing. I remember watching my youngest BIL, 40 years old with a tumor in his throat so big it finally, painfully choked him to death. We prayed that death would come for him only to ease his pain. I don’t know if our hearts will ever completely heal from that. This year we’ve said goodbye to another BIL whom we loved dearly. He was closer than a brother to my husband. He was a best friend as well. Watching my husband go through this pain over and over and over again is heartbreaking. It’s been a couple of months now and he is doing better. He has good days and bad days. The day the Dr. told us that I had a giant mass in my uterus was the scariest day of our lives. Watching my husbands family die young, painful deaths (Thank you Cincinnati Airport for washing your jet fuel off of your runways into their drinking water it was such a brilliant idea!) and my father who died at the same exact age I am, have taught us many valuable life lessons. #1 People are what matters. Not things. Never things. But, back to loss. I thought I’d make a list of all of everything we’ve lost to put it into perspective and then to let it go. Holding on to things isn’t healthy, especially things like stress and pain. A loving, funny brother. We share many, many fond memories of him like the time he accidentally grabbed BenGay instead of Polygrip after a few too many beers. His gums were redder than a stove burner on high and the lady at Poison Control couldn’t stop laughing long enough to tell me to have him drink milk. A gallbladder that, let’s face it, I really don’t miss too much except when I try to eat a salad, or anything remotely greasy. Two ovaries, not missed in the least. I have a friend, this friend thought she was going through menopause. She was wrong. She was pregnant with twin girls…at 56. That was my worst nightmare, now it’s not. One fallopian tube – Oh who cares! One cervix – Not sure about this one yet. I’ll get back to you on that. Two houses – That was hard. My poor husband and my daughter have pretty much singlehandedly moved us twice in the last four months. Momma has A LOT of stuff! #3 Say goodbye and move on. It’s okay to visit your grief, it’s not okay to move in with it. So, I’m saying goodbye to all of these things in my own silly way, hoping that 2017 will be a better year for all of us. Not sure about that one yet, if the election foretells the future. #4 Together we can get through anything. I don’t have cancer. I am healing more and more every single day. I love our new home and wake up every morning thankful that we live here. Well, except for that first morning when we were accidentally locked ourselves in the garage, in our pajamas, at 32 degrees! A broken door knob was the only fatality and it was fixed an hour later after a quick trip to the hardware store. I hadn’t laughed that hard in a long time and it felt good. Cold, but good. #5 It may be raining now, but the sun will shine again. Momma is still getting used to the new house. She went back home for the week during my surgery and came home to a brand new house. It’s a little overwhelming to someone who has Alzheimer’s or any kind of dementia as it would be for anyone. All we can do is take it slow, be positive, and hope for the best. #6 Laughter can heal a lot of things, but love can work miracles. Think of you so often and ask your forgiveness for losing touch with you. I can’t imagine how difficult this past year has been for you but like you said, you are a survivor. At times, that can be really tough and it would be easier to say “Forget it” and give up. But, you don’t. For that I applaud you. Carol Graham recently posted…Do You Need a Dose of Inspiration? No question it’s been a tough year for you but I’m so grateful that you’re ending it on a healthy and happy note. Your new home is gorgeous. Your renewed health is priceless. Did you know that your last phrase; the one that ends with “I love you Momma” always brings me to tears? Well, it does. As did this post. You are a woman of rare strength, Rena. You are a light and an example to me. I’m so glad to call you my friend. P.S. Your house is BEAUTIFUL!!! Sigh…I hear you on the tough year. You are a strength and inspiration to me, and when I’m feeling sorry for myself, I often think “what would Rena do?” I’m so glad you’re feeling better and your new house is beautiful! I can just picture you working at your desk!